Complete your degree in 15 to 18 months for a undergraduates degree and 18 to 30 months for a graduate(depending on the degrees). Bellevue University offers students more ways to earn their degree through innovative learning – online or in class with traditional or accelerated degree programs. Serving more than 13,000 students annually at 12 locations in three states –– and everywhere online, through its award-winning online learning platform, Bellevue University is the largest private university in Nebraska. 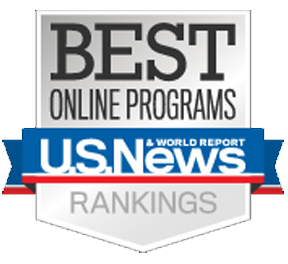 Regionally accredited, Bellevue University is proud to be an award-winning leader in distance learning; offering both online or in class settings at our main campus or satellite locations. Our accelerated degree completion programs have been recognized for innovation, leadership and diversity. Students beginning their higher education can explore the benefits of our leading–edge bachelor’s degree program that combines classroom and online learning with career work experiences. For students looking to complete a degree our admissions counselors can work with you on credits previously earned for the accelerated bachelor’s degree completion programs. At the graduate level, Bellevue University offers 28 master’s degree programs, and one Ph.D. program. Here you will discover or rediscover the joy of learning in the company of others like you – people who are serious about accomplishment – and led by dedicated faculty who have real–world experience. Bellevue University has educated students online for over 15 years, and was one of the first institutions to offer an MBA completely online. Student Engagement accounted for 50 percent of the ranking. Faculty Credentials and Training and Student Services and Technology each accounted for 25 percent to complete the ranking criteria. Bellevue University’s award-winning online classroom offers a seamless learning experience, and the University’s library provides complete access to extensive research materials from anywhere in the world, anytime. The University is proud to be a leader in distance learning by offering students the opportunity to earn an accredited degree online in a flexible and supportive environment. The University also appeared among the top 150 universities in the category of best online business graduate programs. Take a closer look at Bellevue University and you’ll soon recognize our commitment to the life and career success of our students. Bellevue University’s supportive learning environment emphasizes principles of active learning that expose students to both theoretical knowledge and practical application. Our respected faculty brings real world experience to the classroom. Traditional teacher–to–learner lectures are replaced with active involvement in the learning, using applied workplace projects, library and database research, interaction with teachers and other students, and multimedia resources. Bellevue University is proud to be an innovator for students earning their bachelor’s degree or master’s degree by offering traditional or accelerated degree programs, the option to learn online or in class. Bellevue University is accredited by The Higher Learning Commission of the North Central Association of Colleges and Schools (NCACS). The NCACS is one of the six regional accrediting agencies recognized by the U.S. Department of Education. The Higher Learning Commission is part of the North Central Association of Colleges and Schools. The Association was founded in 1895 as a membership organization for educational institutions. It is committed to developing and maintaining high standards of excellence. The Association is one of six regional institutional accrediting associations in the United States. Through its Commissions it accredits, and thereby grants membership to educational institutions in the nineteen–state North Central region. Bellevue University will provide world class learning services for individuals and institutions in a transformative service culture that manages a network of affiliations. Our culture will effectively develop active learning skills, decisions skills, technical and general knowledge, and understanding of the western tradition in experienced learners committed to utilizing these skills and perspectives in the world of civic and commercial affairs. We are committed to offering a comprehensive set of services to our clients: optimal learning environments, delivery modalities, customer service and assessment support plus research, consultative and strategic services to maximize the real world return for our clients. Preeminence requires offering this excellence efficiently in a common culture at a below market price for comparable quality. This is RealMastery™ for both clients and the University in meeting the exciting challenge of the 21st Century. Bellevue University will be the foremost American university in adult education. Our preeminence will rely on our unique combination of Midwestern values, client service, talent management, and transformational culture. We will achieve an unmatched link between learning and real-world performance.